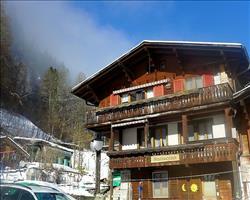 The ultimate guide to Lauterbrunnen ski holidays. Making jaws drop for centuries, Lauterbrunnen serves up a true feast for the eyes – sheer cliffs, jagged peaks, frozen waterfalls and ancient wooden chalets like dots in the valley. 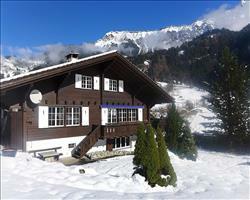 You’re not left hungry in the skiing department; with the spectacular Jungfrau area just a ride on the railway away. 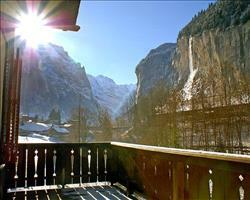 After a hiking holiday here in 1911, Lauterbrunnen’s landscape formed J.R.R. Tolkein’s inspiration for the misty mountains and elven realm of Rivendell in The Hobbit and The Lord of the Rings. It’s easy to see the likeness: the ancient Walser village lies in a glacial trough, where cliffs plummet to the valley floor and craggy peaks teeter overhead. “Lauter Brunnen” means “many fountains”, referring to the 72 waterfalls that pour down rock faces along the valley, including the legendary Staubbach Falls, Switzerland’s highest. Tolkein wasn’t the only wordsmith to be inspired here – Tennyson described it as "the stateliest bit of landstrip" and Goethe wrote “Song of the Spirits over the Waters” after experiencing the Staubbach Falls, which Wordsworth called “this skyborn waterfall”, and Byron likened to “the tail of the white horse streaming in the wind". With Wengen’s ski area to one side and Murren’s to the other, Lauterbrunnen is part of the Jungfrau region and connected to the slopes by mountain railway. View our detailed Lauterbrunnen snow forecast or snow report and see all live webcams, piste maps, road and travel maps and lift pass prices. For a picture of historic snow conditions see the snow depths month by month with our Lauterbrunnen snow history. The mountain railway gives access to Murren-Schilthorn ski area on one side of the valley as well as the Kleine Scheidegg-Mannlichen area above Wengen on the other. On the Murren-Schilthorn side, the ski area includes some of Europe’s greatest black runs, including the Schilthorn run from 2970m (part of the famous Inferno race, which links 15km of slopes back to Lauterbrunnen) and the Kandahar slope which gets seriously steep at points. Red run skiers can ski down into the village via piste #3 from the Winteregg base station and the top station leads to a mixture of easier blues heading towards Lauterbrunnen and Murren. This area’s also home to the Skyline Snowpark at the Gimmeln lift, which has easy and difficult lines. Intermediates will love the network of reds over in Mannlichen (there are some brilliant routes to Holenstein). This is also where you’ll find dedicated Slow Slopes, which let learners progress at their own pace without the distraction of speedsters. From Kleine Scheidegg, experts should tackle the black Oh God and Rennstrecke-Hanneggbrucke – two of the hairiest but most exciting runs in the region. 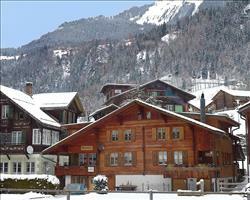 In the blue department, the home runs to Wengen are scenic and cruisey and for later in the season, more snow sure slopes from the Eigergletscher take you towards Brandegg. The Horner is the only pub in the village, with a cosy, chilled out atmosphere where you can sit back with a beer and soak up the views from the terrace. Continue the night at its sister venue, the Horner Bar which opens until the early hours for dancing, darts and table football. For mealtimes, Weidstuebli does delicious Swiss cuisine from fondues to rosti, and Airtime and Flavours make good stop offs for breakfasts and lunches. We like Basepoint for burgers and the Horner Pub’s a favourite for soups and pasta dishes. 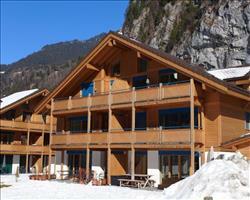 Activities besides skiing and snowboarding include tobogganing the 4km forest path from Sulwald to Isenfluh. The Talmuseum shows how life in Lauterbrunnen has been in the past and there are some lovely winter hiking trails through the valley. 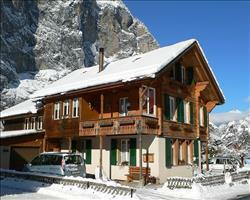 When is the best time to ski Lauterbrunnen? You don’t get summer skiing here like you do in Zermatt, but the season usually manages to hold out well from December and into April. 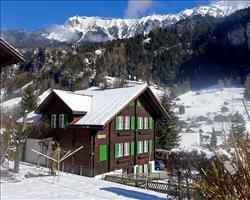 Half of the Jungfrau area has snowmaking, for when the natural conditions need a little nudge. 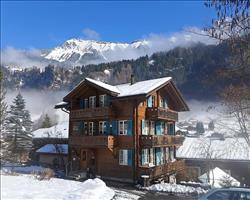 When the snow falls in the village, Christmas in Lauterbrunnen is spectacular. 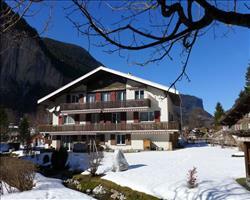 See in the New Year in Lauterbrunnen surrounded by some of the most phenomenal scenery in the Alps. Half Term in Lauterbrunnen is a brilliant way to escape the real world, exploring the Jungfrau slopes and enjoying quiet evenings in the village. Bring the brood to one of Europe’s most beautiful destinations, for a week combining natural history, Swiss culture and oodles of fun on the snow. The four kilometre toboggan path from Sulwald runs through the forest to Isenfluh, which you’ll all want to do again and again. Families with a few ski weeks under their belts can explore every inch of the Jungfrau area, while Murren and Wengen’s ski schools look after anyone seeking instruction. Groups of skiers and non-skiers will have a cracking time in Lauterbrunnen – while some of you head to the slopes to explore the Jungfrau area, others can take to the winter walking paths, get the train to towns like Interlaken or soak up some local history in the village. For evenings, the Horner pub and bar are your main options, but if you’re happy to make them your locals for the week, they’re just the ticket.